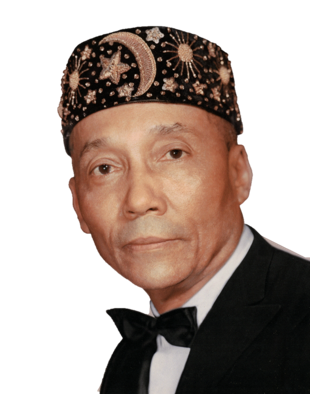 Since 1984, so-called Jews have regurgitated the lie that Honorable Minister Farrakhan said, “Judaism is a gutter religion”. The problem with this lie is that no one has been able to produce an audio or video recording of Minister Farrakhan saying, “Judaism is a gutter religion.” Words have been taken out of context and other words have been inserted using brackets, which then becomes the words of the writer and not the words of the speaker. No such recording exists because no such statement was ever made publicly or privately. So, to say Minister Farrakhan called Judaism a “gutter religion” is a lie from a liar and anyone who repeats that lie is part-dragon. 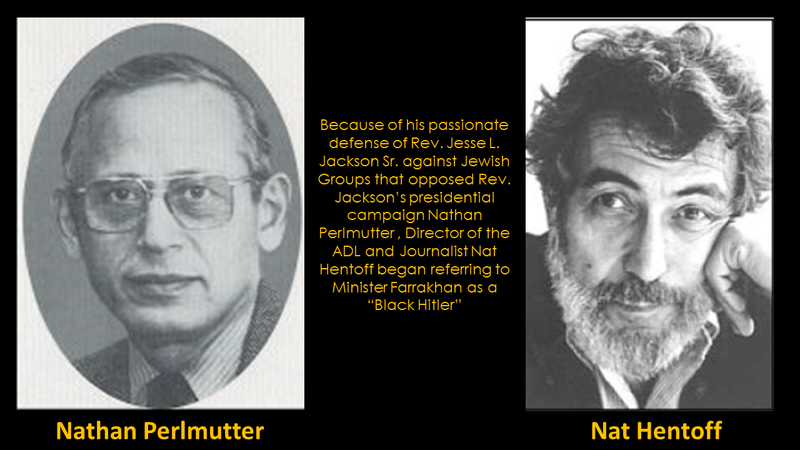 Nathan Pearlmutter of the Anti-Defamation League of B’nai B’rith (ADL) in 1984 referred to the Honorable Minister Louis Farrakhan as a “Black Hitler”, which was repeated by Mr. Nat Hentoff, a Jewish leader and then-columnist for the tabloid Village Voice. According to history, Hitler not only advocated for the extinction of a people, he actively went about trying to achieve it. He is credited with establishing government policies that resulted in the forced sterilization of hundreds of thousands of Jews, without their knowledge and against their will. This was reprehensible, it was devilish, it was a crime against humanity, and it was worthy of the severest punishment available to man, which is death. 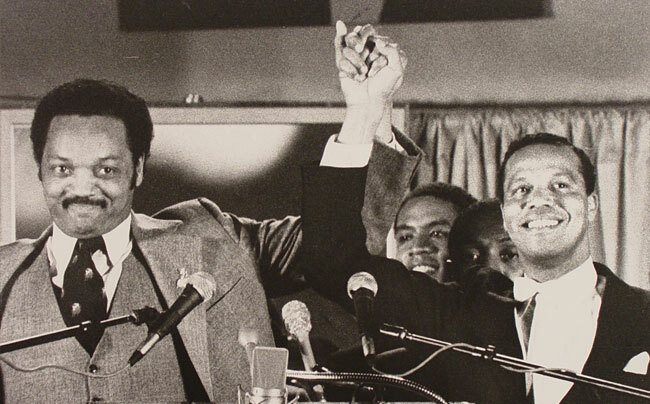 The Honorable Minister Louis Farrakhan has never participated in the forced sterilization of Jews and has never lobbied members of government to institute policies that advocated for the sterilization of Jews. So, to call him a “Black Hitler” is a lie from a liar and anyone who repeats that lie is part-dragon. Interestingly, for over a decade, between 1993 and 2013, the so-called State of Israel had a government-sanctioned policy of forcibly sterilizing Ethiopian Jews. These Black Jews, who sought residency in the so-called State of Israel, were given birth control shots named Depo-Provera. The expressed purpose of the shots was forced sterilization. Thousands of Black women were forcibly sterilized by the Israeli government for a decade that we know of. That stain will never come out of the corroded fabric of the so-called State of Israel and it will forever mar the sanctimonious expressions of the Israeli government. With every shot, they knew they were extinguishing these Ethiopians’ prospects of reproducing; thus, with every shot, they were doing the bidding of the dragon. This government-sanctioned sterilization program fell out of favor in 2013 and a Jewish agency published an article entitled, “Israel Admits Ethiopian Women Were Given Birth Control Shots”. In that article, it reads, “A government official has for the first time acknowledged the practice of injecting women of Ethiopian origin with the long-acting contraceptive Depo-Provera. Health Ministry Director General Prof. Roni Gamzu has instructed the four health maintenance organizations to stop the practice as a matter of course.” Is this not exactly what Hitler did to Jews in the 1930s? It was reprehensible then and it is more reprehensible now. Since people like to throw labels around, then catch this. 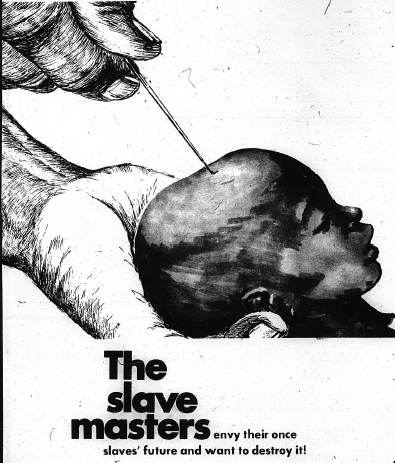 Every person in the so-called State of Israel who authorized, sanctioned and participated in the forced sterilization of Black people is, absolutely, “Anti-Black”. No Mr. Pearlmutter and Mr. Hentoff, the new Hitler is not a black man living in America. The new Hitler lives in the so-called State of Israel which you pledge your allegiance to. In an October 18, 2018, online article, a Jewish publication published an article entitled, “Louis Farrakhan: Jews are termites”. The title of that article would leave any rational person to believe that Minister Farrakhan referred to Jews as termites. The purpose of that title was to do exactly what it did, which was to deceive anyone who would read it. 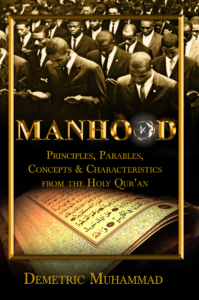 The reader would likely develop or harden negative sentiments towards Minister Farrakhan, the result of which would likely cause the reader to not listen to anything Minister Farrakhan has to say. The same author of the article did not put the phrase in quotes because Minister Farrakhan never said that. Here, again, is another occasion when Minister Farrakhan’s words are mangled, misinterpreted, cooked up and altered to fit the purpose of the writer. No audio or video recording, publicly or privately, exists which records Minister Farrakhan saying “Jews are termites” because no such recording exists. These “so-called Jews” are fabricating a stick, beating themselves with it and then playing the victim all while blaming Minister Farrakhan. The tactic is well-grooved at this point and they are quite proficient at it. In this day, however, the people will not be fooled. By definition, a Semite is, “a member of any of various ancient and modern peoples originating in southwestern Asia, including Akkadians, Canaanites, Phoenicians, Hebrews and Arabs.” Since the term “Semite” refers to all these “various ancient and modern peoples”, how did the so-called Jews of European descent get the right to call people “anti-Semite” if they deem something to be anti-Jewish? Is this not a blatant attempt to steal the rich history that belongs to “various ancient and modern peoples” including Arabs? Is the goal to influence the minds of people so when they read the rich ancient history of Semitic people that the reader will solely think of the so-called Jew of European descent? If not, then in the words of the Honorable Minister Louis Farrakhan, “stop it”! If the speaker desires truth over deceit, then claim a perceived unjust statement against this group of people as being “anti-Jewish” as opposed to “anti-Semitic”. We are all responsible for what we know. Thus, if anyone tries to claim the entire history of various Semitic people as solely belonging to the so-called Jews of European descent who live in the so-called State of Israel, then that person is part-dragon. Why does this article refer to some Jews as “so-called Jews”? Well, a Jew is one who subscribes to the beliefs and precepts established in the Torah by the Prophet Moses. To be clear, there are many people who refer to themselves as Jews of European descent who strive mightily to live up to the high moral standards codified in the Torah. They are good people and they can be found all over the planet. They would not qualify as a “so-called Jew”. The “so-called Jew” is anyone who claims to be a Jew and acts contrary to the beliefs and precepts established in the Torah by the Prophet Moses is a “so-called Jew”. For example, Moses brought the Children of Israel the Ten Commandments directly from the Lord. One of the Ten Commandments was, “Thou shalt not kill”. Well, every person who authorized, sanctioned and/or participated in the forced sterilization of thousands of Black women in the so-called State of Israel engaged in the act of killing the womb that was made by Allah (God) to bring forth new life. Those people are not Jews; they are “so-called Jews”. Another precept of the Ten Commandments is, “Thou shalt not bear false witness against thy neighbor”. So, every person who claims to be Jewish who created, repeated and/or promoted the above-mentioned lies about the Honorable Minister Louis Farrakhan is not a Jew at all, but is a “so-called Jew”. According to the scriptures, Satan could not overcome Joshua and he lost in his war against Michael. 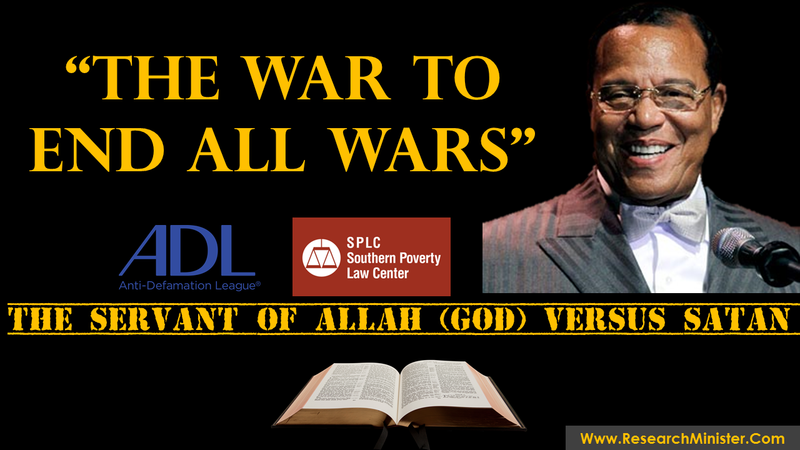 The likely fulfillment of this prophecy is occurring before our very eyes as the servant of Allah (God), the Honorable Minister Louis Farrakhan, continues to stand against the lies of Satan. All praise is due to Allah!